Big news! 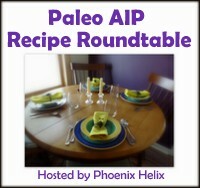 The Paleo AIP Instant Pot Cookbook is available NOW! Ever since I signed up for culinary school 14 years ago, I’ve dreamt of publishing my recipes. Now it’s actually happened. I’ve just manifested one of my longest held dreams. Despite chronic illness and fatigue and ongoing, intensive treatments: I did it!! I’m officially published in an actual cookbook: The Paleo AIP Instant Pot Cookbook! We almost didn’t get a Christmas tree this year. For two very simple reasons: we are both exhausted and broke. Pretty food pictures and colorful blogging aside, this is our Lyme reality. All the optimism in the world doesn’t change the fact that healing serious illness is tough. Tougher than most people could ever imagine. It takes it’s toll, and it’s certainly taken its toll on us.